I’ve already accomplished a few of these goals, well I’ve knit a brioche scarf, woven a pickup stick sampler scarf, and I’ve finished 3 (nearly 4) pairs of socks. 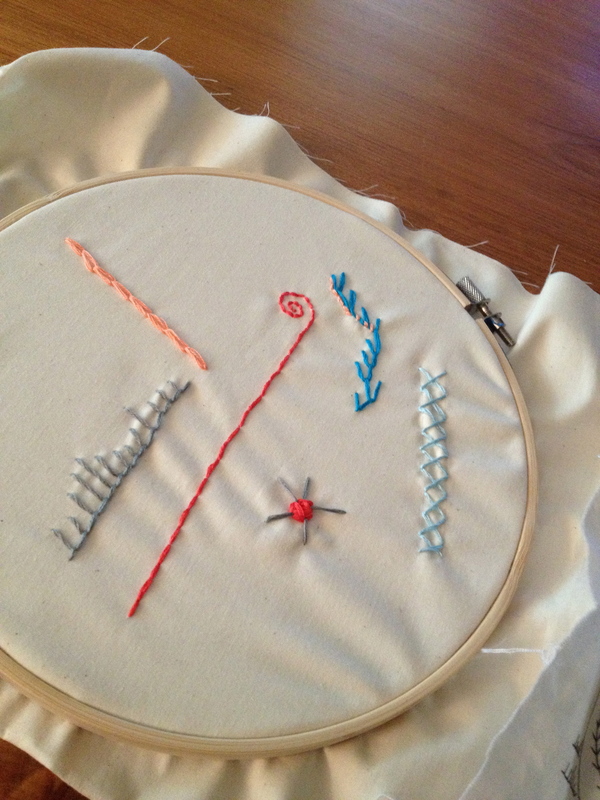 A few others I’ve already tried and discarded, like giving needle felting a try. 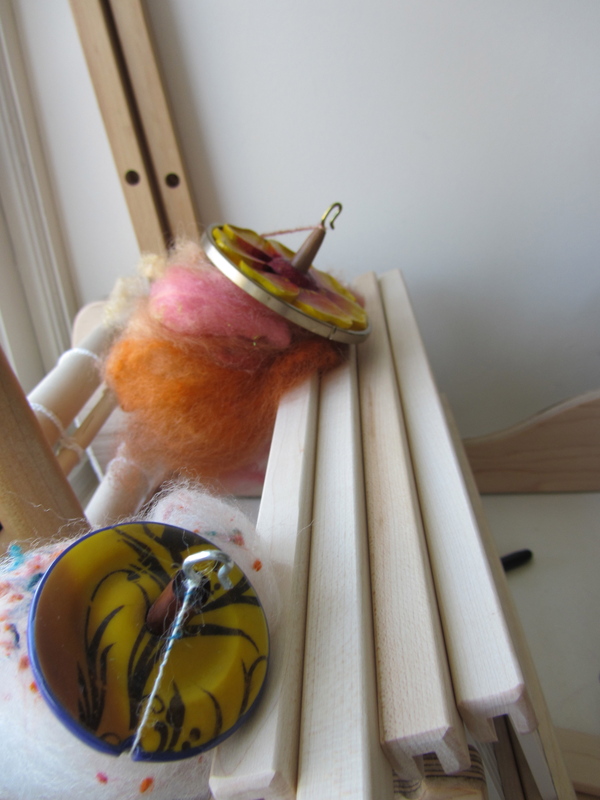 I tried again and ended up giving away my needle felting supplies. Also, double knitting, unless I find a project I love I didn’t really like the technique. So for the purpose of KCBW, my goal for the year is to make sure that I enjoy my crafting and that I didn’t push aside my enjoyment of fiber to meet some artificial goals. Also, to make the Mascot Projects that I wrote about on Day 2. 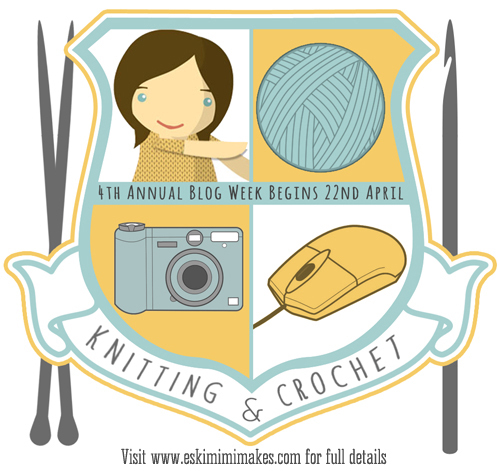 And as another successful Knitting & Crochet Blog Week draws to a close I have to give a big shoutout to Eskimimi for putting together a fantastic blogging event, here’s to year 5! So, if someone were to look at my workspace, kitchen, dresser, car, hard drive you would make an educated (and accurate) guess that I’m not an overly orderly person. 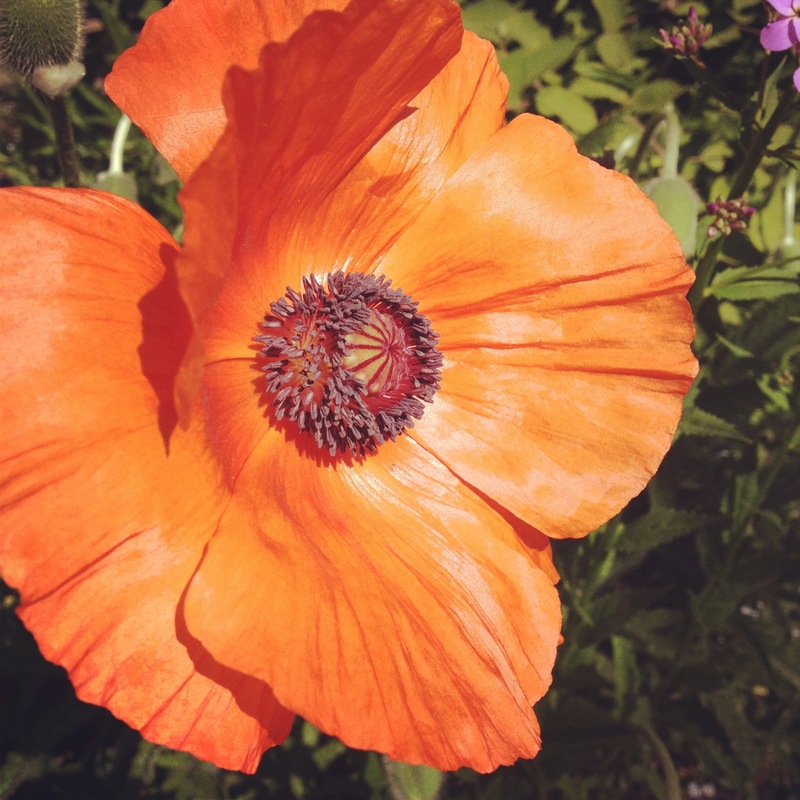 On the whole whole, my life has taken the “long way ’round”, totally without order or plan. Which is why my obsession with FIFO (First In, First Out) is so deeply odd. Although, I do eat the frosting (my favorite part) last when I get cake, so maybe not that odd. For some reason when I get a new awesome yarn, I can’t just ball it and knit it, I feel the need to keep going with the oldest yarns in my stash. I’ve been working on this issue, I managed to knit some TFA Red Label in Dove within 2 months of getting it, and it didn’t kill me. So I’m stating it here, I’m not throwing away my goals for the year, but I’m taking them with a grain of salt. 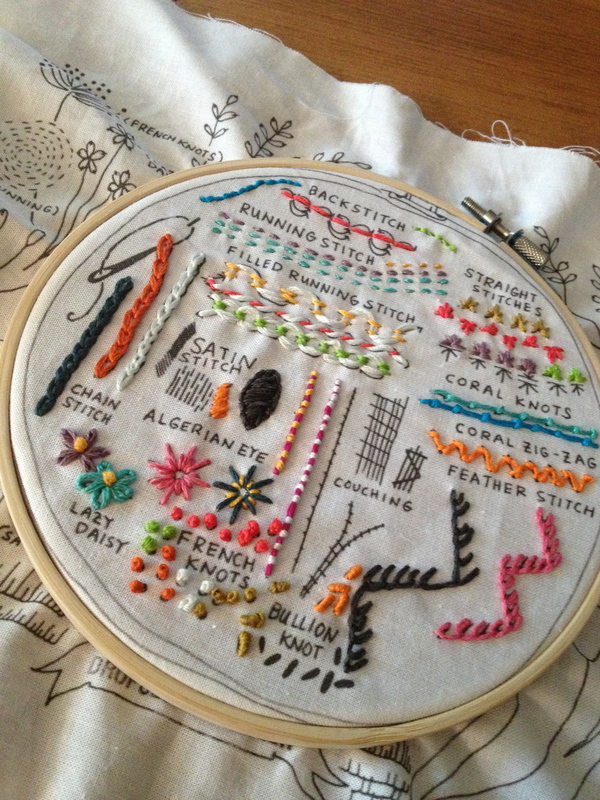 My tendency would be to attack the list in order (and use the oldest yarns in my stash) and then see what I get to do for fun after the “work” is done. I have finished, or released myself from, all my obligation crafting (knitting/crochet mostly) and I’m going to do what I want, when I want to. For the rest of tonight, I think I’m going to sit down at my wheel for the first time in months, and maybe do some reading in my new copy of The Spinner’s Book of Yarn Design. Maybe later this week I will re-warp my loom, or not. I’m going off script, and the adventure awaits. Going into 2012 I had a clean slate of projects, this year is a bit different, I have a few stragglers that I wasn’t able to get done before midnight on December 31st. They will be either finished or frogged by the end of the year, and probably sooner than that. Here they are, from earliest cast-date to latest cast on date. First up, we have the Rockberry Triangle. Deadline: I don’t really want to start another big shawl till I get this one done, so it is at the top of the WIP pile. Deadline: None in mind, I just want to get it done before the end of the year. Deadline: I hope to have these done before the snow melts, I have heard rumors that Felici Sport is being discontinued, so I stocked up during the Black Friday sale and will have lots of socks to keep me happy for a few years, so I have no real desire to rush through this pair. Then after a bit of a gap, I have my Canaries, Castles and Bunnies, Oh My! Deadline: Like two months ago, I need to focus in and get working on this, or find another three-color shawl, cause this one is really hanging over my head. Actually, there was one more in 2012, Pointelle, but I decided to hibernate it after screwing up the first two rows of the cuff too many times. 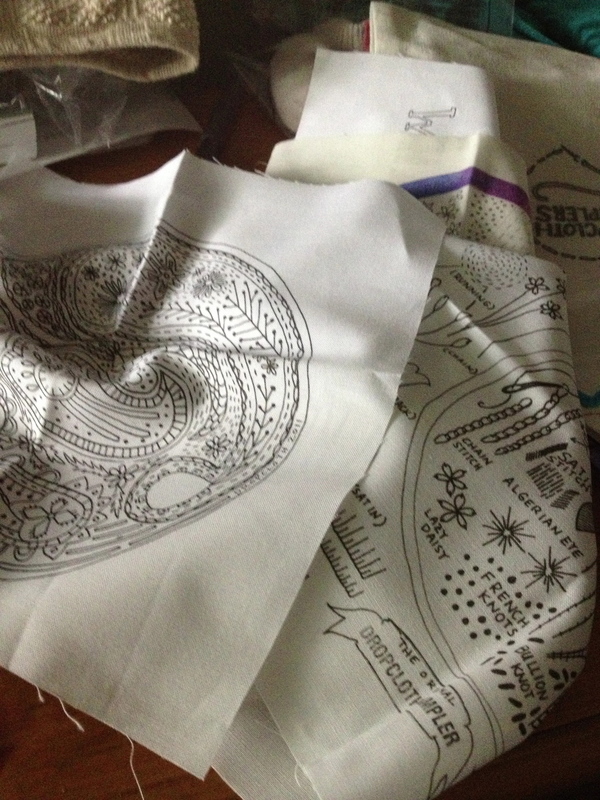 So I have my work cut out for me, but all projects finished in 2013 count towards this year’s goals. So, here we are at the end of the the first day of the year and I guess it is time to let all of you know what to expect from me this year, although if last year is any indication my results and my goals bear very little resemblance to one another. This year instead of classifying by craft, I have set my goals by type. So, it looks like I have a few awesomely cool challenges ahead of me this year, and I’m sure I will dream up a few more in the next 12 months. For the last two years I have been doing retrospective and looking forward posts as the years end and begin, and this year is no different. I am using December 30th, as the cut off day for finishing projects in 2012. Unlike last year I have some projects carrying forward into 2013 and I’m okay with that. So 2012 in numbers looks something like this, 2011 and 2010 numbers are in brackets. 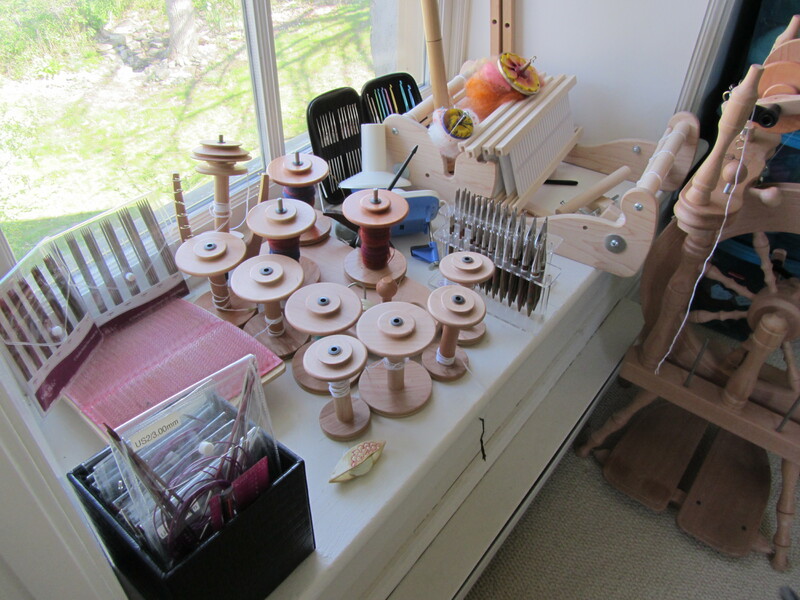 Note, that this year I added a loom so these number include woven projects as well. The big difference this year was the addition of socks, in a big way, to my repertoire. Ultimately, I acquired more yarn this year than almost any other but I also used much more than any year. 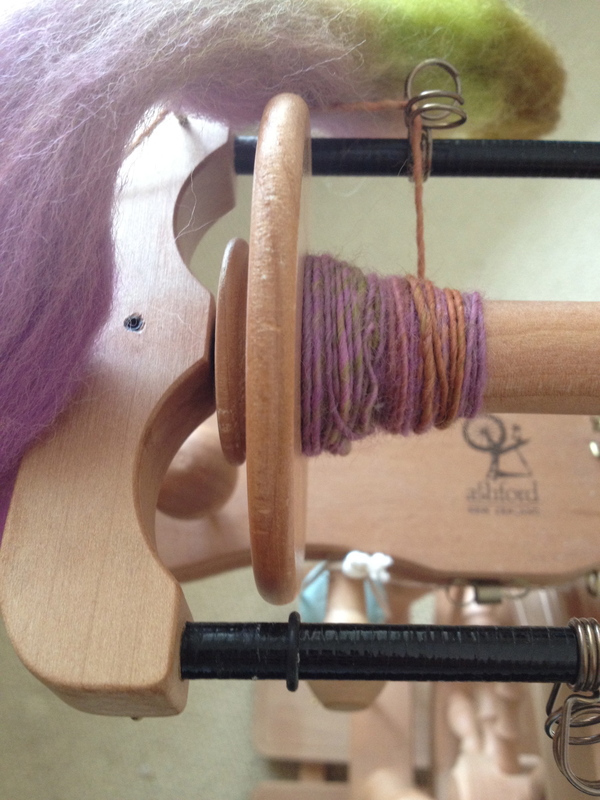 I also had the smallest fluff acquisition ever, but I did hardly any spinning. I found that with my crazy work schedule I never was all that compelled to sit at my wheel, I’m hoping to change that in 2013. So to see how I did on the goals I set for myself in January 2012. I didn’t often look at this list when making decisions about what to make this year so, I think I didn’t do very well meeting my own expectations, but I had a great year in knitting, crocheting, weaving (and an okay year in spinning) so this is just an exercise in curiosity at this stage. 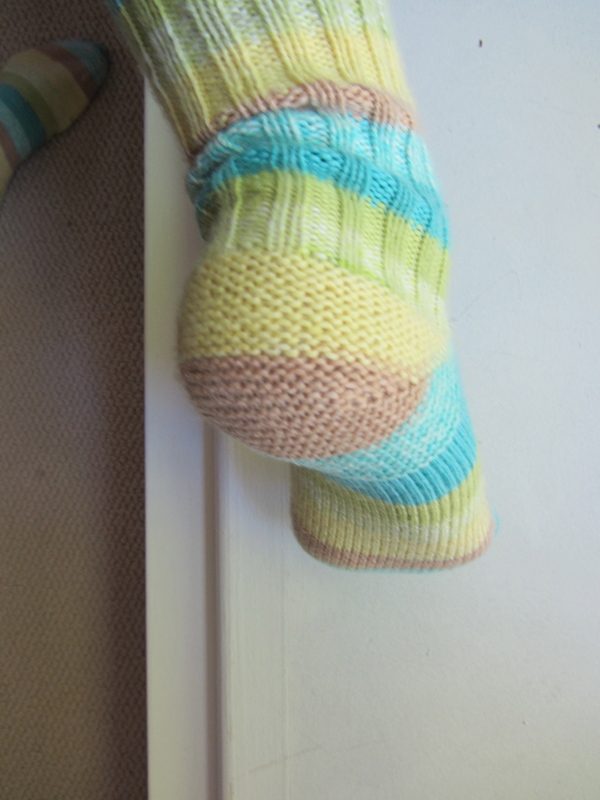 Spin a useable sock yarn – Didn’t even attempt this one, but I have some ideas on how to accomplish it. 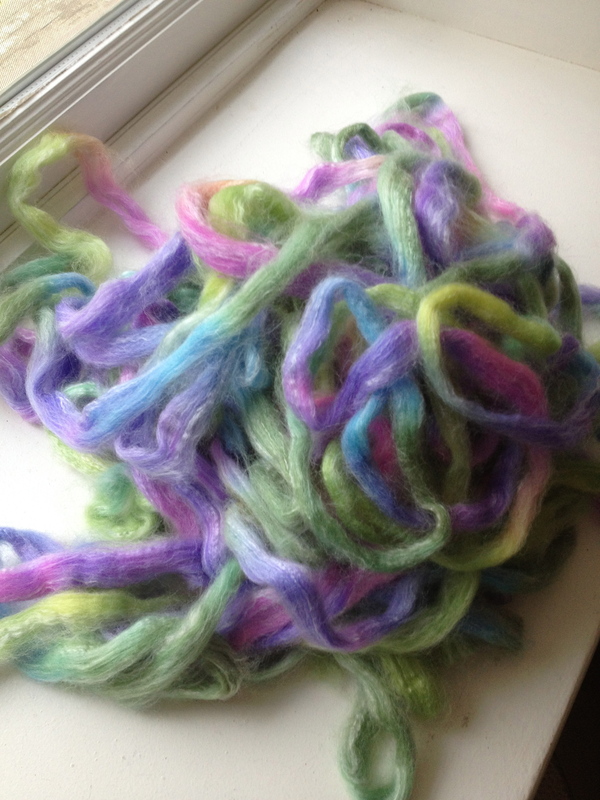 Spin hand carded fleece – Yep, but I hated the yarn I was making so I just tossed it, but I do want to get a drumcarder one day because I do prefer spinning carded batts to combed top. Knit 12 pairs of socks during the year – I have all the yarn in my stash – YES, and you can read about all my socks HERE. Finish one large shawl/stole, more than 1000yds of laceweight – Nope, I had nobel ideas, but none came to fruition, I am going to relist this goal for 2013 as I have a crocheted stole lined up to use about 1,200 yards of laceweight I hope to have done before summer. 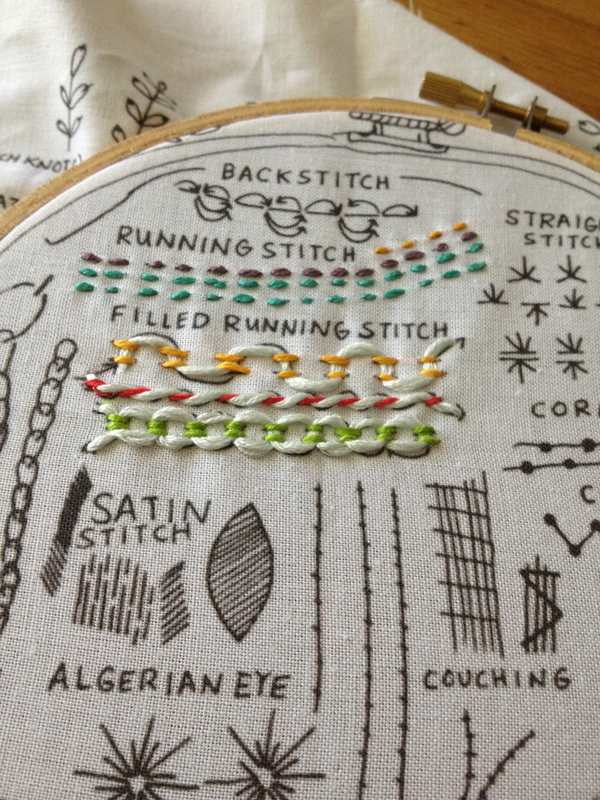 Design a pattern that is appropriate for submission to an online knitting magazine – Nope, but again, I have some ideas that are at least suitable for self-publishing, something I want to set as a goal for 2013. Participate in at least one Knitalong – This goal was kind of a gimmie, because I was already planning on participating in the January TFA KAL and then I went on to do several more through the year, one of which actually won me a prize. Knit more than 10 miles of yarn – With 8.7 miles of yarn used, I am short of my 10 mi goal, but I think I still want to aim for it, because I have big plans for 2013. Start a sock-yarn Babette Blanket from my scraps – Nope, but I got a RH loom which I have been using to use up scraps and I LOVE it. Crochet a shaped item (mittens, hats, shrug, etc) – AMIGURUMI are fun! 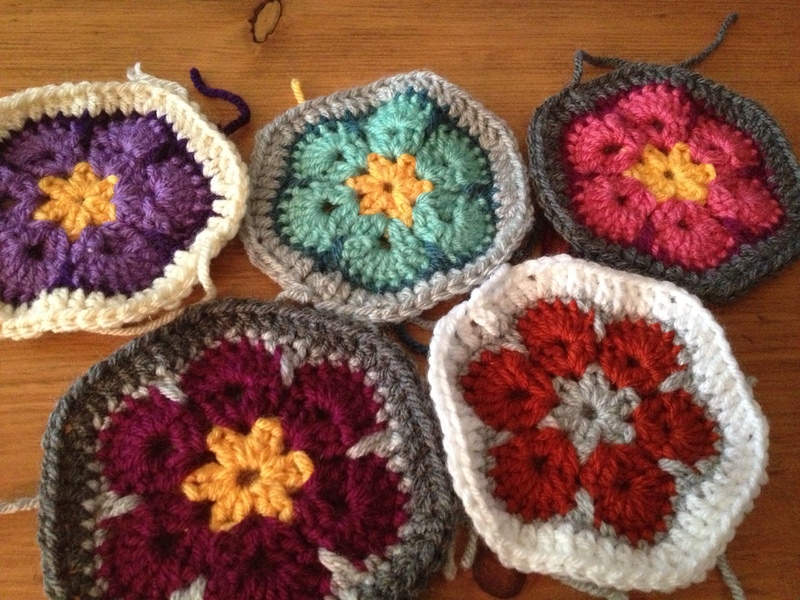 I had no idea that might be what I made in shaped crochet, but I have more yarn and patterns on the way to make many, many more. 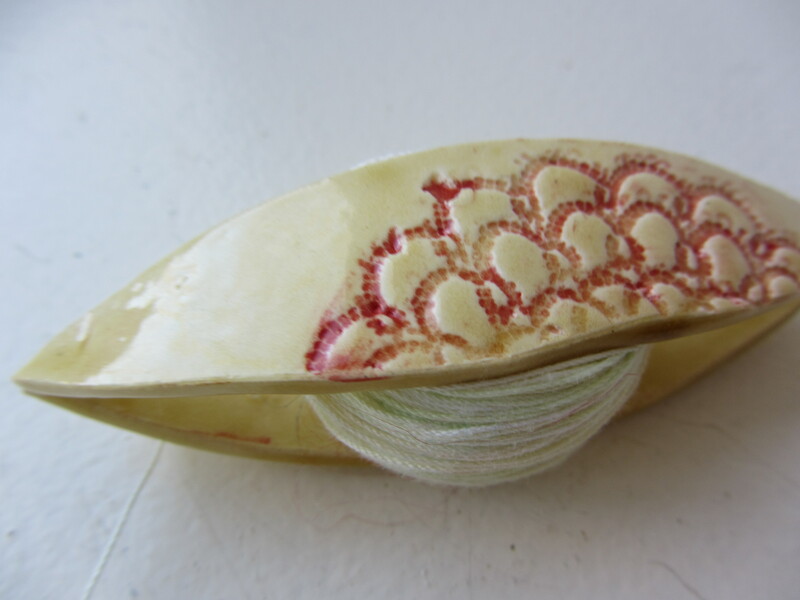 Take undyed fluff and turn it into a finished object, which will included dyeing, spinning and knitting. Process some raw fleece, preferably from a local producer. FAILED on all these counts, however, a chaotic summer (with a daily 2hr, 100mile round-trip commute) killed some of my inertia to accomplish these during the summer. Looking at it I didn’t really accomplish many of my goals for 2012, however I don’t see this as a failure, but a representation of how hard it is to see into the future, when I was sitting at my desk in January, I had no idea that I would be where I am today. So I will set goals for 2013 and post them here tomorrow, January 1st, but here are some of the things I accomplished this year which were not on my list for 2012. 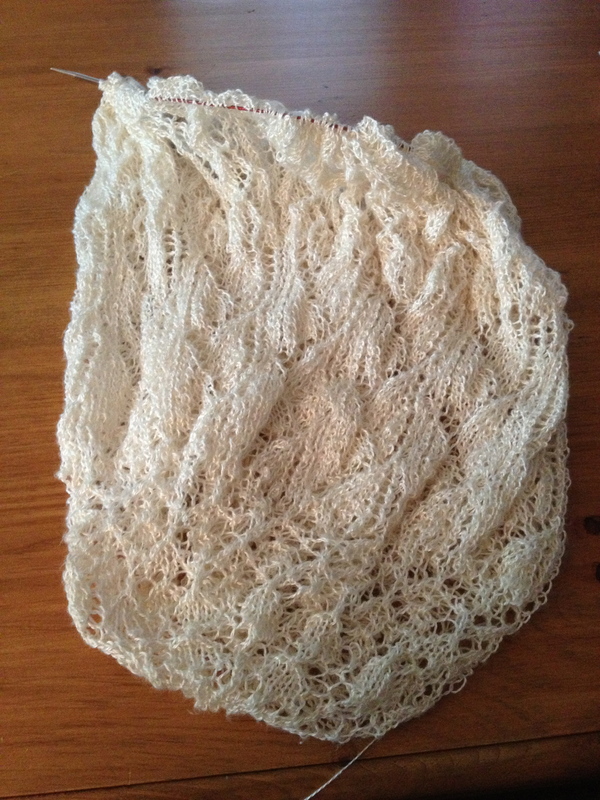 I still have a few 2012 FO posts to share in the next few days as I get better pictures (or in one case block and take pictures, its a lace shawl so it really needs blocking), but I am ready to dive into a new year of fiber fun! 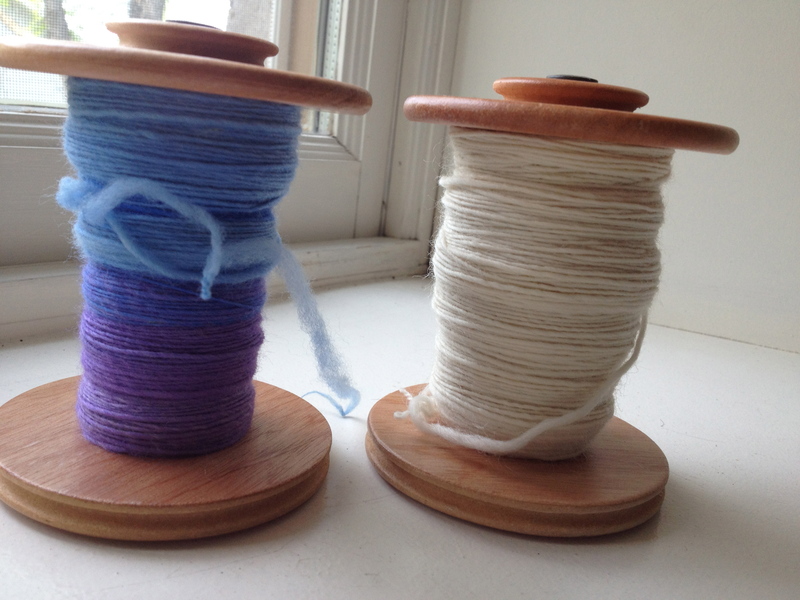 I have two drafts and five finished objects (and two handspun yarns with more to come) to get posted on the blog, and yet I haven’t published in weeks. With my gainful unemployment ending next week, I feel a mania grabbing me and getting me to start and finish all sorts of projects knowing that I won’t have nearly as much time going forward from June 4th. 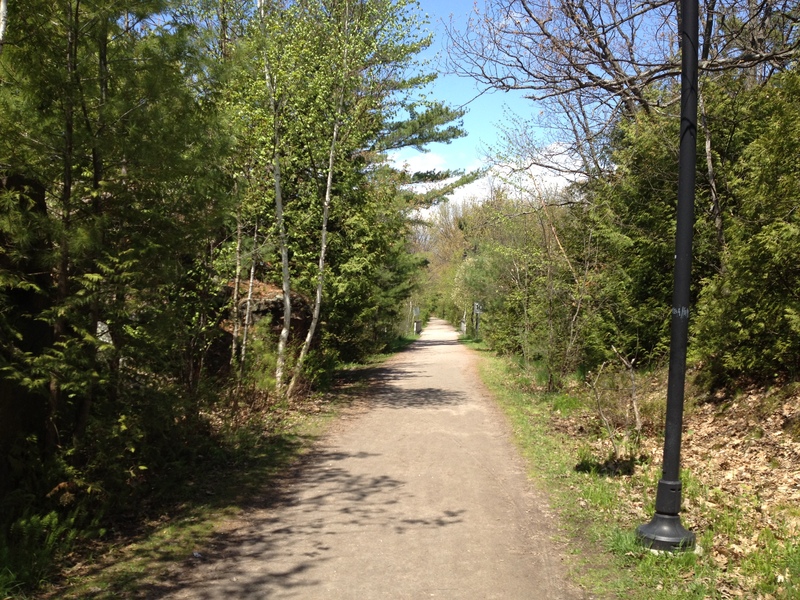 On June 4th I start a new job in Bracebridge, about an hour east of Parry Sound, in Muskoka. For those of you who are familiar know that Bracebridge is in the heart of cottage country and a neat little town. I’m going to be working for a local environmental not-for-profit doing archival and stewardship work. I’m really excited to start, the work should be interesting and I hope to learn lots from such a good organization. Also, it could mean moving, most importantly, out of my parents house for like the 4th, and hopefully last, time. For some reason I’m more keen to blog when I’m working, when I’m not working I find it more of a chore to sit at my computer and not be knitting or weaving. Here are some snippets of what I have been making and admiring (click the first picture to see all of them in a fun gallery format). 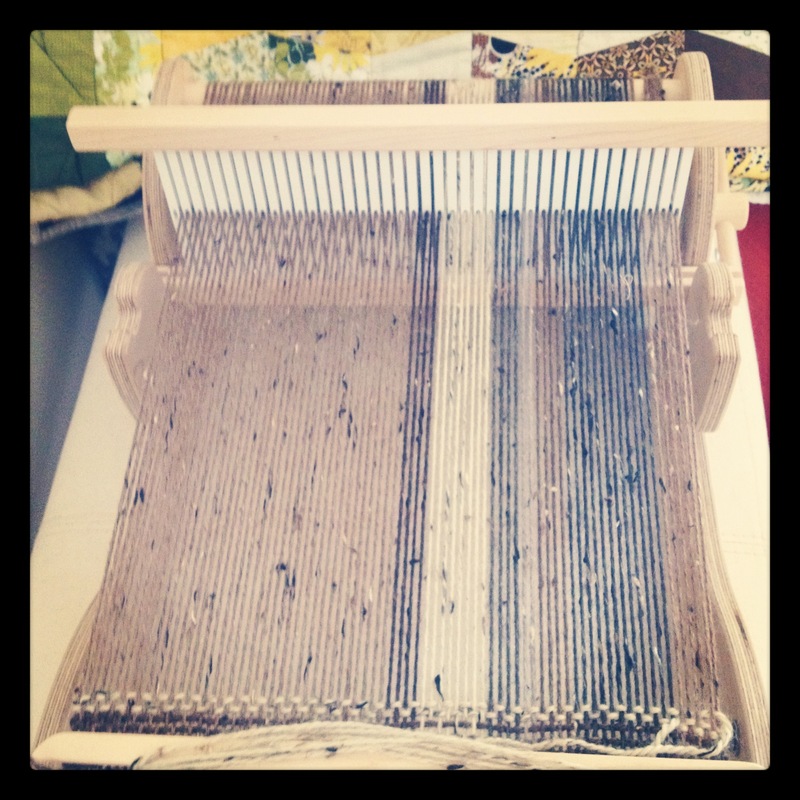 This is the warp for the Second Sister scarf, the first one went so quick I never managed to get a pic of the warp. My first short-row heel, I love the squishy garter stich and how easy and quick the heel turn is. 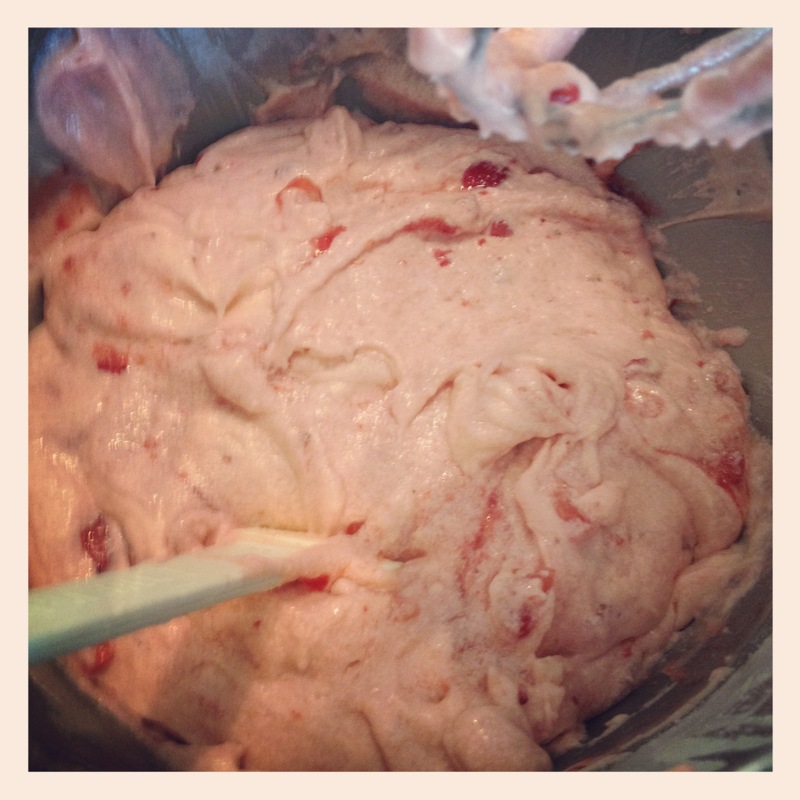 This terrifyingly pink goop was the batter for some fun pink birthday cupcakes for Carla. 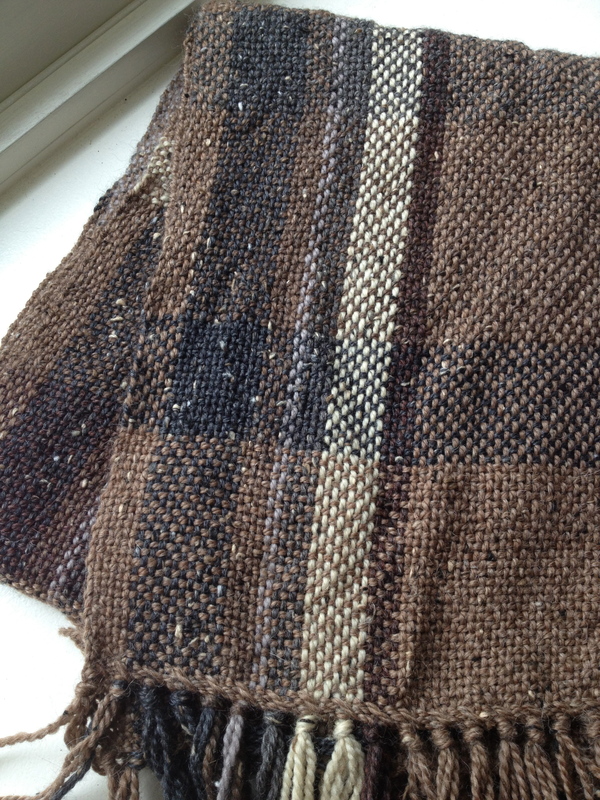 The first of the two City Tweed DK scarves. This one had a more standard plaid look, while the other was a bit more original due to running out of yarn. 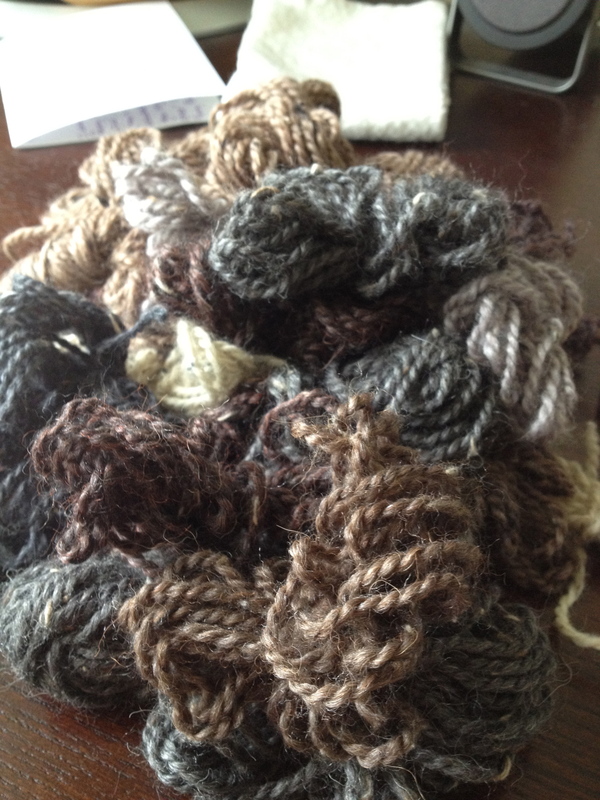 From the 500g of City Tweed DK Carla gave me, I only have this much (60g) remaning. I’m thinking a garter stitch baby scarf, cause I want it out of my stash! Some 60/40 Merino Bamboo top that I have stripped and ready to get on the wheel, once I get through the Corriedale. 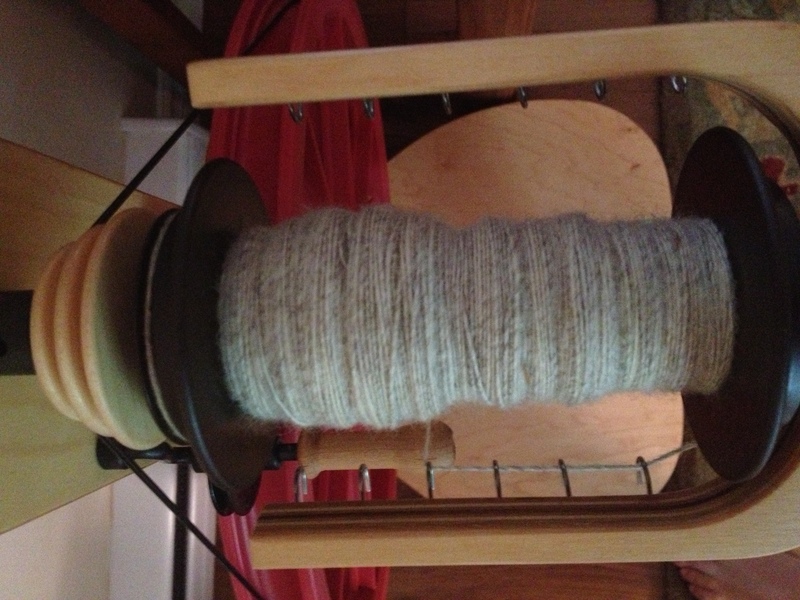 This is my first time spinning Corriedale, not loving it the way it’s looking right now. This is the view when almost at the halfway point on my run. 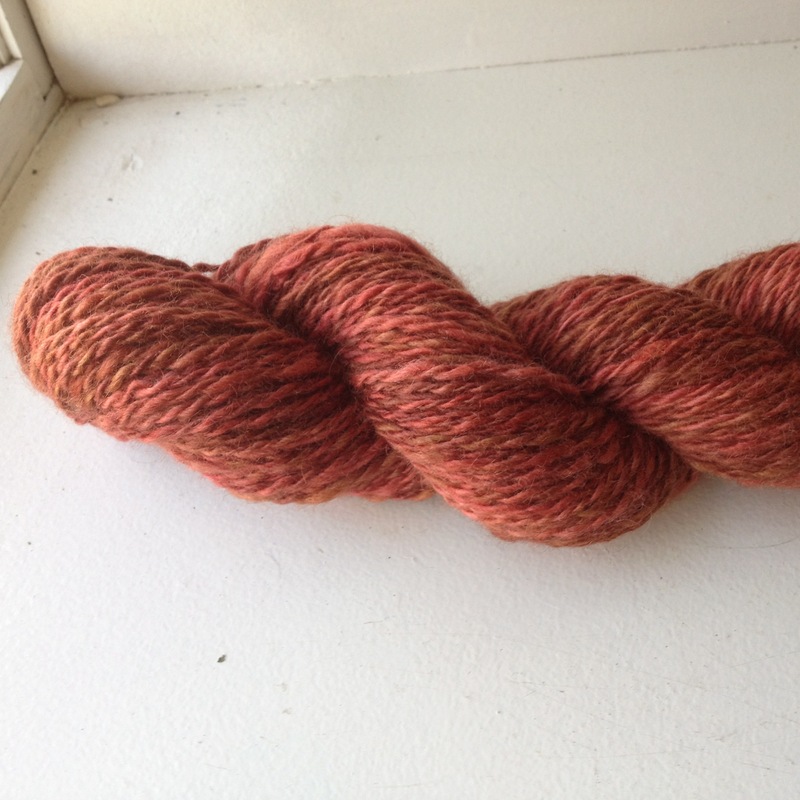 This skein of BFL + Silk from Sweet Georgia is really pretty but it was a bear to draft, it seemed like it felted either in the dyeing or in transport, because I was constantly fighting with it. 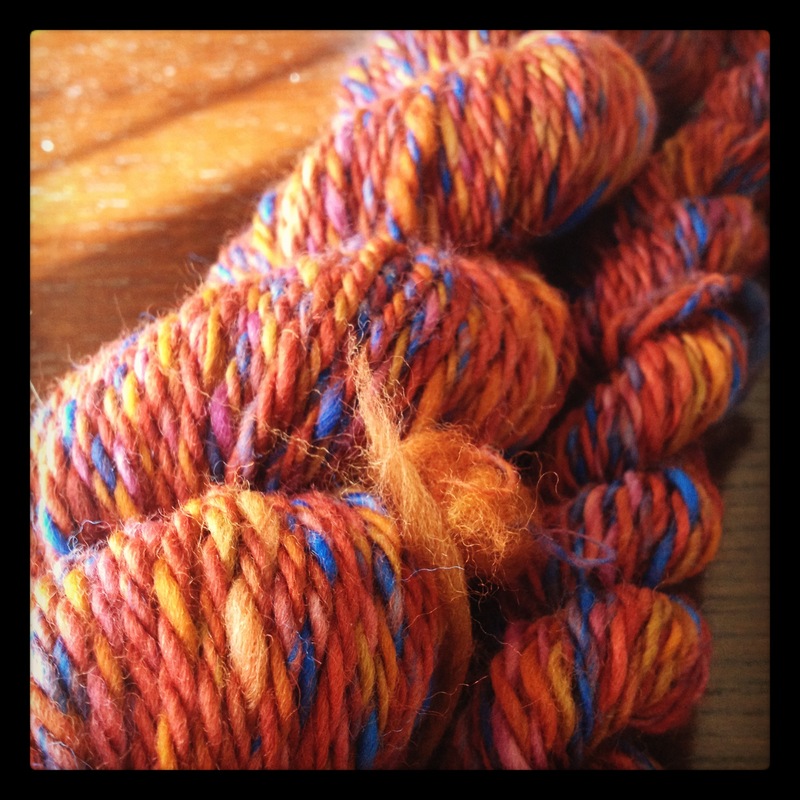 So I think I might love Polwarth. This was a great spin and so light and fluffy. 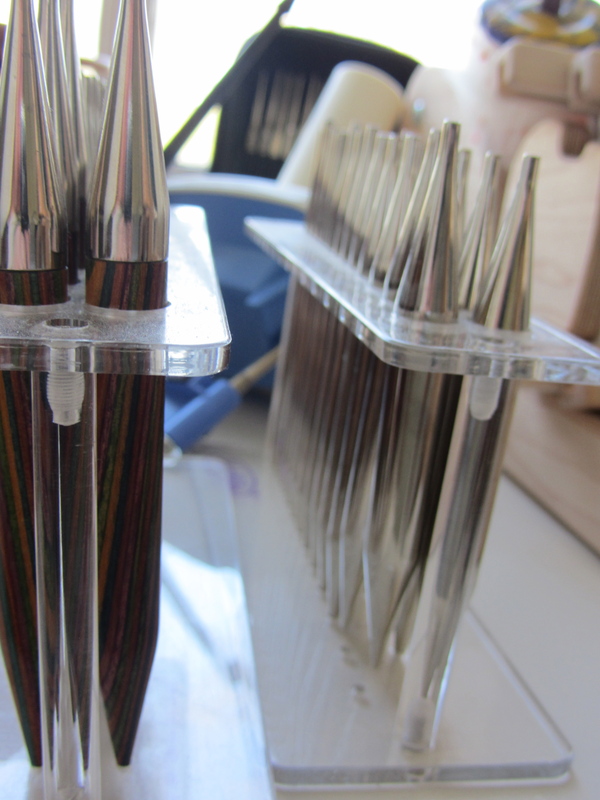 Two bobbins ready for plying, on the left is a long slow rainbow in Merino and the left is a bobbin of Peruvian Highland top to help stretch out the 50g of rainbow yarn and keep the colors in order. 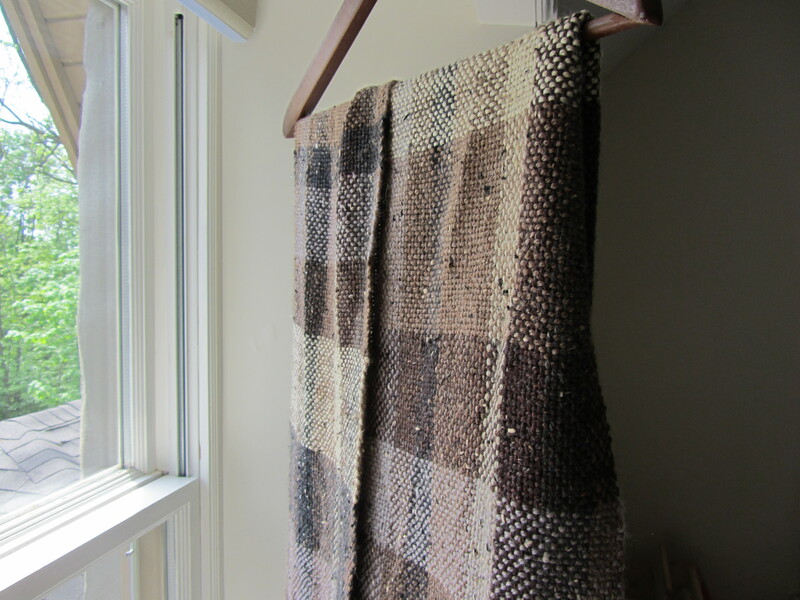 The second of two similar scarves made from City Tweed DK that was sitting in my sister’s stash, which I wove and gave back to her. If you want to see more of me, I’m usually on Twitter, sometimes on Pinterest and rarely on Facebook. Use the links at the bottom of the page to track me down there.